Town Meeting Article 31 is a Citizen’s Petition to “increase transparency” for voters. If passed, all elected boards would be required to maintain meeting attendance records for easy access by the public. Currently, voters who are curious about attendance records would have to comb through minutes or file a Freedom of Information Act Request. Under the Article proposed by “Michael Weishan, et al”, the boards would be responsible for maintaining records available to the public and publishing an annual account. “The Town Administrator shall, for each elected Town board or committee for which Southborough voters cast votes and for each calendar year, compile and maintain a record of each such board or committee member’s individual attendance record for all posted meetings of such boards or committees. Such attendance records shall show the number of meetings for which a member was present, or attended by remote participation, or was absent. The attendance record shall also show the total number of such meetings that the member was eligible to attend for the reporting period. The current version of this attendance record shall be available to the public at all times, and the final version for each calendar year shall be published in the annual Town Report for that year.”; or do or act anything in relation thereto. This article seeks to increase transparency of Town government by making the attendance records of our elected officials easily available in a single location for public review. Draft minutes from February 13th indicate the BOS vote was a blanket opposition to every Citizen Petition Article. That vote was split with Selectmen Brian Shea, Brian Shifrin and Dan Kolenda voting to “Not Support” each of them. Selectwoman Bonnie Phaneuf voted against the motion, preferring to hold off on positions until the Articles are discussed at Town Meeting. 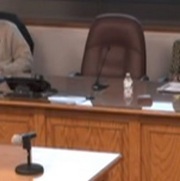 Chair Lisa Braccio was absent. A blanket vote in opposition of EVERY warrant article brought forward by the citizenry. How did they know to do a blanket vote, and vote against, all without public discussion? Deliberation without public discussion? Is that an Open Meeting Law violation? Who exactly do they think they represent, if not the citizens? There was nothing of merit in any of the warrants worked on and presented? Brazen. The town has had its chance. It has had its chance at transparency, accountability, enforcement of state law. It says something when the taxpayers are fed up enough and reject current ways. The picture says it all: we can’t afford to have empty chairs in these challenging times. The town needs full attention and deserves it. This is an article worth supporting, for the sake of transparency and good functioning local government. I’m confused as to what gives you the impression that there wasn’t public discussion. As I wrote, the vote was from the draft minutes of the February 13th meeting. In addition, they invited Article proponents to come present to the board at their February 5th meeting. They heard from proponents of some articles at that meeting, others didn’t come. That was their right and I don’t believe the board could require them to come and make their case. It is customary for the board to vote on positions on Articles before Town Meeting. There is nothing unusual there. (Though, sometimes they opt to hold until the meeting to take a position.) It’s also not unusual for the board to move to vote on blocks of agenda items and just pull out anything that a member wants to discuss separately. I thought the vote was interesting enough to note in the story. But I don’t see anything that indicates a potential Open Meeting Law violation. Sorry – I realized my Meeting of the week post noted that they would be discussing the Citizen Petition Articles. That was separate from the meeting earlier that week that covered voting on Article positions. But that was also included under agenda highlights in the same post. They certainly knew to bundle and vote a blanket “no.” That means some type of deliberation? But not in the public eye? If so, is that an Open Meeting Law violation? Where was the public discussion and public debate by the BOS members during public meeting? When did they discuss the merits and decide to “bundle?” When was that discussion? Can you point that out on tape? All that you listed does NOT include any discussion amongst the board members in public.